JCB’s authorised dealership, throughout the country, has been a trusted entity in the field of construction and quarrying. Catering to a wide selection of industries JCB has been able to establish itself as a reliable partner for a multitude of businesses. 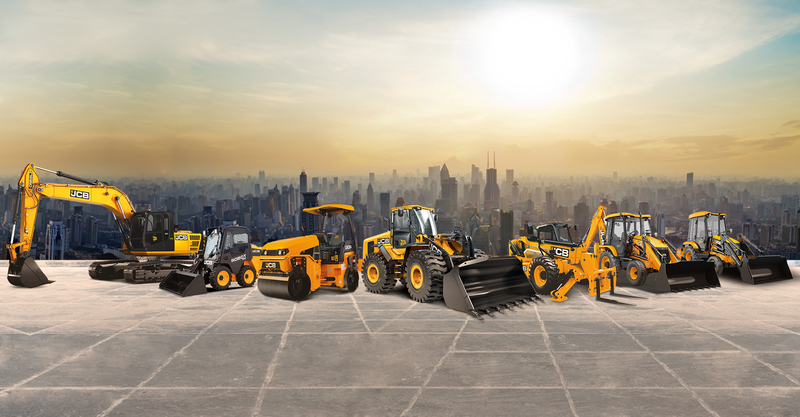 Having a pan India existence with 650+ dealers network, trained & skilled service engineers, and parts availability, JCB is one of the leading market players that understands your business needs through and through. Select A&A Earthmovers Pvt Ltd Advaith Motors Pvt. Ltd. Alliance Industrial Marketing Amin Equipments Pvt. Ltd. Anand JCB Ave Maria Earthmovers Bansal Automotives Pvt. Ltd. Bhopal Motors Pvt. Ltd. Bombay JCB Earthmovers Caculo Earthmovers Pvt. Ltd. Chabou & Co. (Nagaland JCB) Continental JCB Dada Earthmovers Dynatech Frontier Commercial Vehicles Gadre Engineering Services Gaurav Earthmoving Equipments Pvt. Ltd. Gautam Engg. Co. Gold Fields Jayaraj Automobile Agency Jayshree Automobiles Jitendra Equipments K. B. S. Earthmovers Kadoor JCB Kalinga Automobiles Krishna Automobiles Leo Earthmovers (P) Ltd. Mayank Equipments MGB Motors & Auto Agencies Pvt. Ltd. Mohan Earthmovers My Equipments Pvt. Ltd. NATARAJ JCB Oja Earthmovers Patliputra Equipments Pvt. Ltd. Podder & Podder Equipment & Project Pvt. Ltd. POPULAR JCB Prem Vehicles Pvt. Ltd. PRN JCB Raj JCB Rajesh Motors (Raj.) Pvt. Ltd. Ratnaprabha Motor RNS Earthmovers Private Limited Saini Earthmovers Shakti JCB Shanti JCB Siddharth Auto Engineers Pvt. Ltd. Sri Sai Earthmovers Sumedha Vehicles Pvt. Ltd. Sumeet Earthmovers Suyaan Infrastructure Private Limited TBL Enterprise TRR Automotive Varun Motors Yantraman Automac Pvt. Ltd.
© 2017 J C Bamford Excavators Ltd.